It’s only fitting that Nintendo would reveal details (albeit few) on their new system the day that we wrap up our Kickstarter. Coincidence? Actually, yes… Congrats to Nintendo on the Switch, it looks like a promising system. 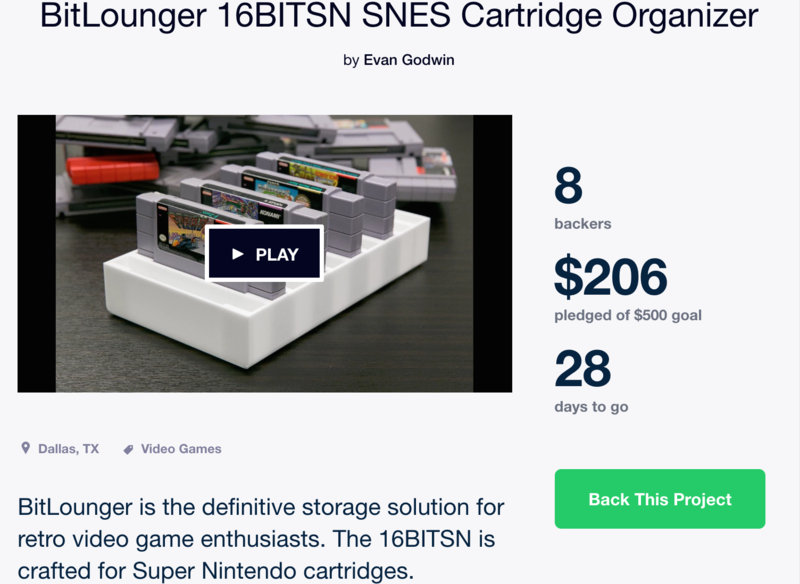 For those who missed out on our Kickstarter project we do have pre-order available on our website, https://bitlounger.com/product/bitlounger-16bitsn/. You can use code: FREESHIPKS for free domestic shipping through 11/30/2016. We plan on adding multi-packs shortly. If that is something you are interested in and do not see please let us know and we will promptly update for you. Mass production shipping has also been confirmed and it looks like we should be able to fill our backer pledges around the 28th or 29th of November. We’ve got everything ready to go and are just awaiting our shipment, so luckily we’re in the home stretch and right on target for everything we outlined in our campaign. With that in mind please stay tuned: we have another great project lined up and we know you are going to love it.